The word is "FLY" - how will you interpret it? Use Pop it Ups for a project showing your vision. They took the theme and ran flew with it! (See what I did there?) Definitely check out the ECD Blog to see photos and find links to all their amazing creations. Here are photos of my project followed by shopping links. Thank you to Vivian, who e-mailed me to politiely inquire about April's giveaway winner since I had not *cough* posted said winner on my blog. I had forgotten to choose the winner. Sorry about that. Loved all the beautiful creations by the design team and I’m looking forward to getting the new house die and the other soon to be revealed ones too! 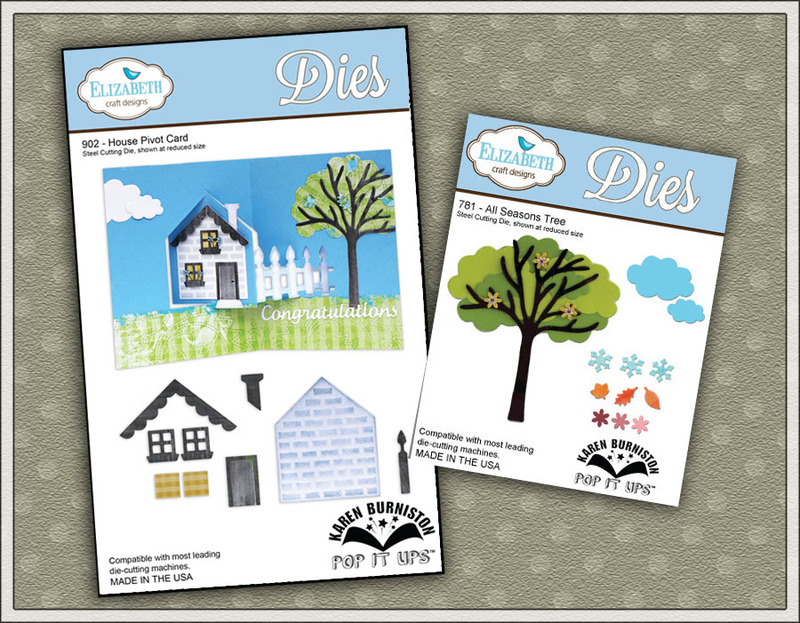 Joy was supposed to win her very own House Pivot Card die set plus the All Seasons Tree set. However, since Joy had already purchased both dies, she chose to receive the Fancy Accordion Album and Fancy Frame Edges instead. Those will be speeding their way to Canada soon. How did Joy win this glorious prize? She is a subscriber to my mailing list and receives one e-mail a month (seriously - it's all I can muster) where she is informed of the Secret Word. She left a comment on the Designer Challenge post using the Secret Word (it was "house") and just like that she was entered into the drawing.